On November 7-8, Kyiv Mayor Vitaliy Klitschko will pay a working visit to Berlin, where he will attend the awards ceremony of the Association of German Publishers (VDZ) "Gold Victory". On November 7, the mayor will take part in "Publishers' Night" ceremony and present the award to President of the European Parliament Martin Schulz, who has been recognized by the Association of German Publishers the winner in the nomination "European of the Year". The EP president has been noted for achievements in the democratic legitimization of the EU. 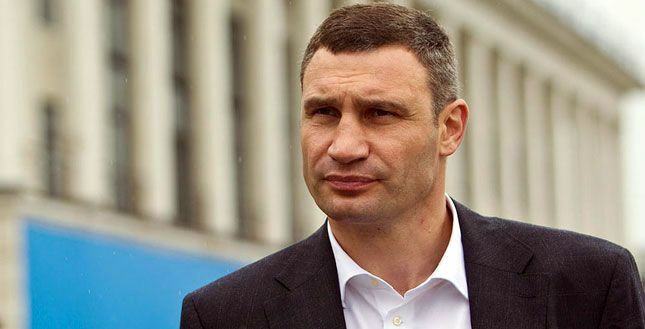 Read alsoMayor Klitschko declares EUR 8.5 mln lent to third parties, 7 bikes, Yamaha pianoIn Berlin, Klitschko will also meet with potential investors and will continue negotiations on the completion of the Podilsko-Voskresenskyi Bridge. Earlier, Klitschko has already agreed with the German side on the allocation of EUR 200,000 for due diligence services by German specialists.